Donald Trump won the presidency because he was able to tap into the "ugly mood" of the American electorate. 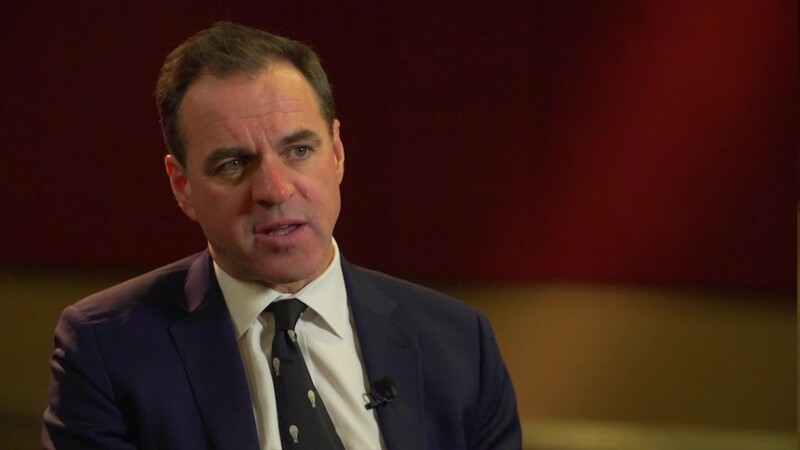 That's according to Niall Ferguson, a prominent historian who quit the U.K. nearly five years ago in search a higher intellectual quality of life in the United States. "[Trump] has personified a great many feelings of resentment against the status quo," said the senior fellow at Stanford University's Hoover Institution. "That's why he won." Ferguson, who opposed Trump's candidacy, said the billionaire real estate developer benefited from a disconnect between elite politicians and regular people. The establishment simply failed to recognize the depth of public anger. "I think there is a worldwide backlash against globalization -- and it's economic discontent, a backlash against immigration, a backlash against free trade," he told CNNMoney's Eleni Giokos. "But there is also a kind of cultural backlash going on here, a backlash against Progressivism." Ferguson is the author of 14 books, including a well received chronicle of the decline of the British Empire. His most recent major work is a biography of the American statesman Henry Kissinger. "We've seen this movie before and it doesn't need to end in World War II," he said. "Not every authoritarian leader is Adolf Hitler." But what can Americans expect from Trump? "They're going to get hardball," he said. "Not necessarily trade war, but certainly there is going to be a toughening American stance on NAFTA ... on U.S.-China trade. Trump is going to deliver on a lot of what he said, but it will be diluted." Ferguson said that Trump is likely to succeed in pushing through massive tax cuts and fiscal stimulus. He would be surprised if economic growth did not accelerate, the U.S. dollar strengthen and the stock market rally. But then the other shoe -- inflation -- will drop. "The trouble with populism is that after a certain amount of time -- look at the experience of South America -- it turns out that you've bought short term growth by creating medium term monetary and fiscal problems." "Your worst nightmare is not a Trump presidency, it's a successful Trump presidency," he said.